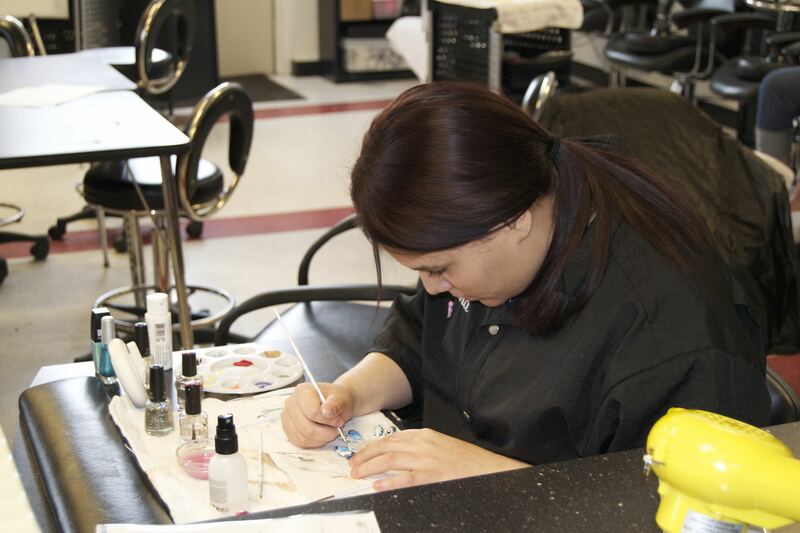 The Cosmetology program prepares individuals to care for and beautify hair, nails, and skin. Hair techniques taught include giving shampoos, rinses, scalp treatments, styling, setting, cutting, hair coloring and lightening, permanent waving and relaxing. Skin techniques include facials and make up applications, while nail techniques include manicures, pedicures, artificial nail techniques, and hand and arm massages. Emphasis is placed on hygiene and sanitation, decontamination, and infection control. Related areas of instruction include bones, muscles, nerves, chemistry, product knowledge, customer relations, and salon management. 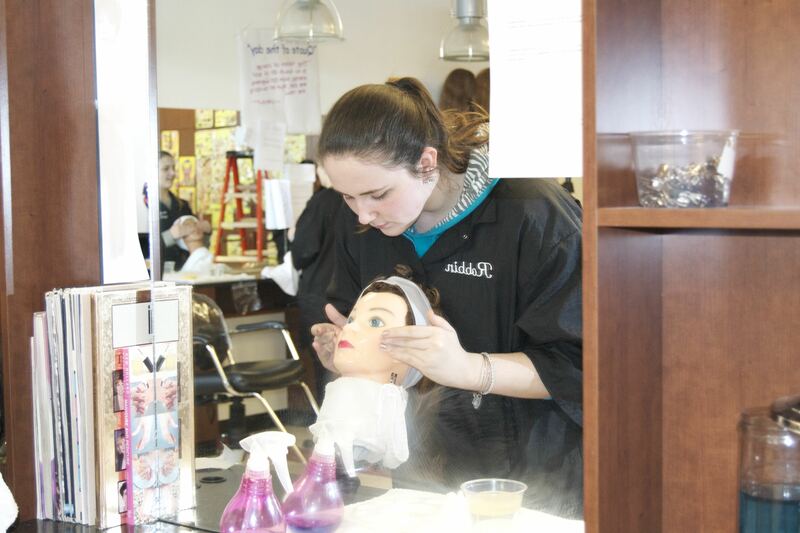 Fifteen hundred hours of instruction qualifies the student for Rhode Island hairdresser examination in the senior year of high school. The Cosmetology and Culinary Arts programs held a successful fundraiser event on March 29, 2016. Students from both programs volunteered their time at an after school event to raise money for The Tomorrow Fund. This event was a success and students were able to raise $900 to donate to the Tomorrow Fund. Congratulations!